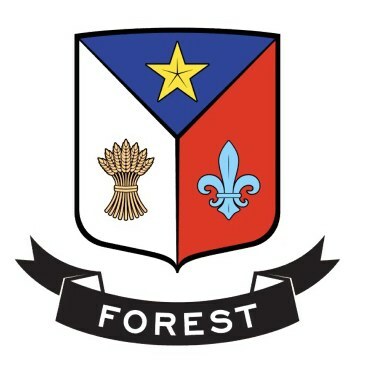 AFA crest of Denis Forest design and graphic André Lavergne (son of Raymond and Nicole Forest Lavergne) at the meeting in Bécancour, QC in 2008, the image of the above association was officially adopted. The division is defined as a trifecta (tricolor describes a partition) in pall (PAL, honorable piece occupying the middle third, moving the tip and dividing by Y to reach the two angles of the head). Azure a gold star, Gules a busy fleur de lys azure a sheaf of wheat cut money. The three colors represent the colors of the Acadian flag, which originally meant the French attachment to their homeland. The star represents Mary the Assumption, patron saint of the Acadians. The star on blue sky background also represents the Star of the Sea, Stella Maris, which guided the sailors, our ancestors, through storms and pitfalls to this new land called Acadie. The color of the star, the golden, is no coincidence: he acted in the papal color to show the attachment of the Acadians to the Catholic Church at the same time to emphasize the role of the Church in the history of Acadia. The lily remember our French origins and the sheaf of wheat represents the attachment to the land and labor of the first Forest in Acadia to ensure the survival of their families. This attachment to the land does not deny among the descendants of Acadian Forest today. It must be remembered that this coat has nothing to do with the arms that have been attached to various branches of our families in history. He acted a shield which is the emblem, signature, logo of the Association of American Forest Forest representing the families, Foret and Forrest. This blazon supposedly attached to our ancestors Forest North of France, above posted and published in the first edition of “THE FAMILY HISTORY OF FOREST AND THE FAMILY OF THIS BRANCH GASPÉ” by VINCENT DE LÉRINS, 1955 on page 135, belong to the Forest of Lewarde Quartdeville whose line became extinct Douai in France in the mid-nineteenth century with Eugene AlexandreFrançois Quartdeville of Deforest-Nicolas (1762-1839), which leaves four daughters and his brother Edouard-Nicolas Joseph Deforest Lewarde (1765-1838) leaves a guy and a girl without issue. It is this family in the eighteenth century, who did recognize this emblem (Gold a lion Gules holding in its forepaws a banner as well. 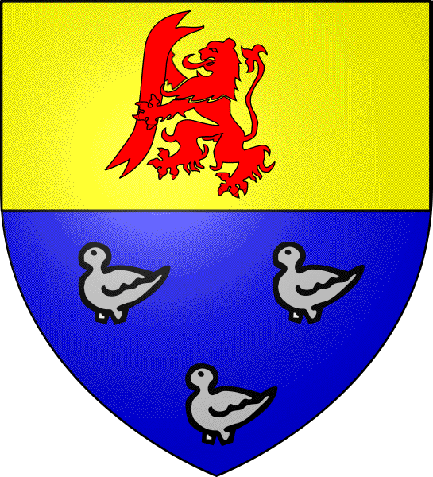 Fess azure three martlets money raised 2 and 1) that appears Armorial Hozier. This shield is now published in the armorial of Commons of Northern France, as the emblem of the city of Lewarde. Since it is unlikely that we are the descendants of the Forest of Avesnes, it seems little justification to continue to use these arms and associate with Forest Acadia except for historical reasons.